Training to become a pharmacy technician is one way to enter the field of healthcare. Pharmacy technicians work under a pharmacist’s direction to fill prescriptions and execute a host of other duties. Trained and certified technicians can work in a variety of health care settings, including hospitals, assisted living facilities and community pharmacies. With continued growth in the sector, employment trends reveal a steady increase in job opportunities or new and existing pharmacy technicians. 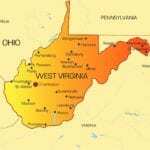 The latest Bureau of Labor Statistics report projects a growth of 18% from 2008 to 2018. The report suggests good opportunities and attractive salaries for pharmacy technicians with formal training and national certification. The Division of Occupational and Professional Licensing governs pharmacy technicians within Utah. Before enrolling in accredited training programs, pharmacy technicians need to register with the DOPL. 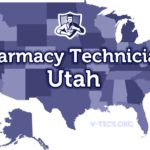 Utah’s Certified Pharmacy Technicians are those who complete in-house or other accredited training and obtain certification from the PTCB or ExCPT. Utah state laws require pharmacy technicians and pharmacy technician students to acquire a license from the DOLP before practicing at state pharmacies. Students enrolled in pharmacy technician training programs should apply for the technician trainee license early as the DOPL requires approximately 10-20 business days to process requests. Students must get the program coordinator or pharmacist-in-charge to complete the Training Program section on the form. The Division will only approve requests for students enrolled in state-approved programs. After graduating from an accredited program and completing a national certification exam, pharmacy technician trainees can apply to the Division for a pharmacy technician license. Employers and training coordinators have the responsibility of checking the status of employees and students before assigning them for work/training in pharmacies. Students and employees must use name tags to identify their position at the workplace and keep a copy of their registration in a place that’s visible to the public. Once the Division assigns a license, pharmacy technicians must work in compliance with the pharmacy laws and renew the license biennially in order to stay in compliance. Applicants must be at least 18 years old to register as a pharmacy technician in Utah. The DOPL does not request a high school diploma or GED with the pharmacy technician and pharmacy technician trainee applications. However, pharmacy technicians applying for CPhT certification with the PTCB or ExCPT will need to present a high school transcript and meet other requirements. Pharmacy-based training providers may also stipulate minimum educational requirements to commence training with prospective employees. The DOPL requests two sets of fingerprints from pharmacy technician applicants and trainee applicants (18 years and older). The Division will use the fingerprints to search files at the Federal Bureau of Investigations (FBI) and the Utah Bureau of Criminal Identification (BCI). Applicants with prior criminal convictions and malpractice, suspensions or denied applications from health authorities must provide an explanation and supporting documents. These do not automatically exclude an applicant from registration. However, it could delay the processing of the application by a few months. The accredited pharmacy technician programs at vocational colleges and universities offer didactic and practical training to help graduates succeed on the job and the national certification exams. There are a few online training programs that the DOPL recognizes. These programs are most beneficial to students who prefer to study on their own time. In the classroom, students learn how to dispense medications, the names of generic and brand name drugs, how to determine the correct dosages, and pharmacy law and ethics. Other topics include recordkeeping, customer service, pharmacology, physiology, anatomy, and healthcare systems. More than 100 Utah pharmacies have DOPL-approval to conduct training in-house. A pharmacist-in-charge takes students through the steps they need to fulfill their roles on the job. If you choose not to enroll in a traditional classroom setting, you can apply for employment, and train in a pharmacy, such as Walgreens. One benefit of this type of training is there’s no cost attached. It is especially important for employer-trained technicians to get certified as it may be difficult to qualify for employment outside of the current employer. If possible, look for an employer-based programs that are also accredited by the ASHP, which is widely recognized by State Pharmacy Boards and employers alike. One of the key advantages of employer-based pharmacy technician training programs is the absence of excessive fees associated with other traditional training programs. Utah’s approval of more than 100 pharmacy-in-house trainers confirms their support of these programs. However, looming changes in the PTCB’s requirements for certification will not bode well for pharmacy technicians who train in their place of employment. However, if you don’t have the budget to pay for training, you can still benefit from the knowledge and skills you’ll learn from a caring pharmacist-in-charge. You may have to pay for your lab coat, textbooks, and your pharmacy technician trainee license. Although, in some cases, your employer may cover those costs as well. Meanwhile, there’s a growing list of colleges and vocational schools that offer training in Utah. There are two ASHP-accredited providers and many other accredited by other recognized authorities. The average cost of training is $2,500 plus extra for textbooks, state registration, PTCB certification, criminal background check, immunization, insurance and uniform. The duration of the program is approximately 3 to 12 months, depending on the class schedules. Graduates of Utah’s pharmacy technician programs must proceed to sit the PTCE or ExCPT exams. Successful candidates earn the right to use the Certified Pharmacy Technician (CPhT) designation. The DOPL requires pharmacy technicians to provide proof of certification (PTCB or ICPT) as a requirement for state registration. Apart from the DOPL’s requirements, employers generally favor candidates with the CPhT credential as it demonstrates their commitment to providing safe and quality care. The PTCB, the older of the two certifying agencies, already has strict standards for certifying pharmacy technicians. Applicants must provide proof of completing high school or a GED equivalent. Effective 2014, all candidates will have to provide fingerprints for a criminal background check. While the PTCB does not require proof of formal pharmacy training, it will be a requirement by the year 2020. Applicants for the exam must apply online and submit the $129 fee using a credit card. Once the PTCB approves the request, candidates will have up to 90 days to schedule the exam at a Pearson VUE center of their choice. The two-hour exam contains 90 multiple-choice questions. The ICPT requires applicants to have a high school diploma or equivalent and complete pharmacy technician training or have suitable work experience to qualify for certification. The 120-question exam is available at PSI/LasetGrade test centers across the nation 310 days a year. Exam questions cover three main categories; Regulation and Technician Duties, Drug and Drug Products, and the Dispensing Process. The fee for the exam is $105. 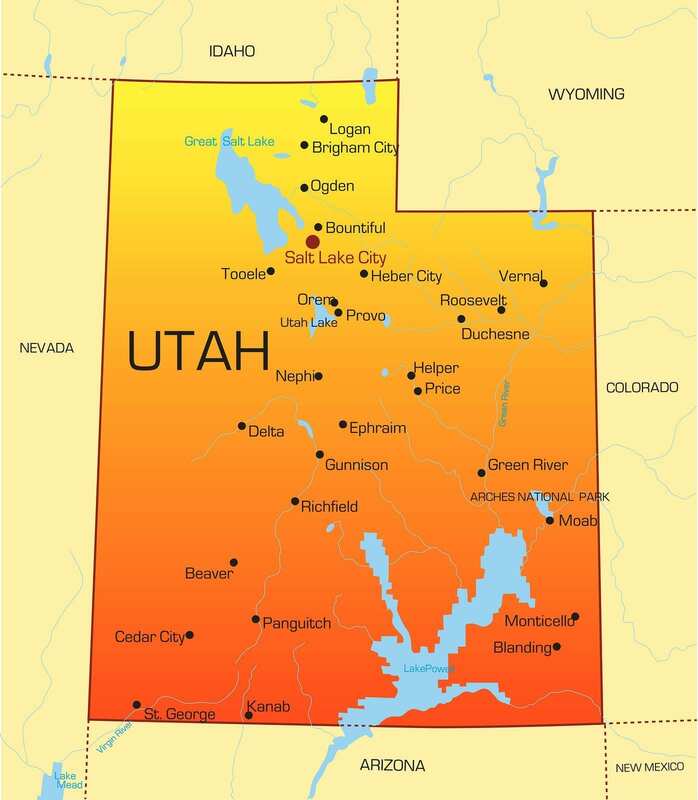 Utah’s DOPL requires pharmacy technician students to obtain a trainee license before commencing the externship as part of a pharmacy technician training program. The following outlines the procedure for pharmacy technicians and pharmacy technician trainees. Print out and complete the pharmacy technician trainee application before mailing to the DOPL. Enclose the $50 application fee. Submit supporting documents if you respond “yes” to the qualifying questionnaires on the application form. Submit a Criminal History Report from the Utah Bureau of Criminal History if you’re 18 years or older when you submit the application. The program coordinator should fill out the appropriate section on the application form. Include a copy of your social security card and state ID. Note: The DOPL will only grant a technician trainee license to students enrolled in state-approved programs. Training programs offered by the Armed Forces. Print out and complete the pharmacy technician application for registration. Enclose the non-refundable application fee of $100. Make check or money order payable to the DOPL. Provide supporting documents if you respond “yes” to the criminal history or medical qualifying questions. Fingerprint record from the Utah Bureau of Criminal Investigation and Federal Bureau of Investigation. Fingerprint services are available at the DOPL at no extra cost. Enclose copy of current ExCPT or PTCB certification. Include a copy of your valid state ID. The pharmacy technician program coordinator or pharmacist-in-charge must fill out details of your pharmacy technician training. Mail the completed application, fee, and supporting documents to the address provided below. A pharmacy technician license expires on September 30 on odd-numbered years. Since there’s a standard renewal date for all pharmacy technicians, your first renewal cycle could be less than two years. Your subsequent renewals will be for a full two years. Pharmacy technicians must renew their licenses prior to the expiration date. The DOPL will send a renewal form, approximately 2 months prior to expiration to the last known address. It is technicians’ responsibility to keep an up-to-date record at the DOPL. For faster renewals, you can renew your license online. You can also fill out this renewal form to renew by mail. The renewal fee is $47. Pay the fee using a check or money order. Provide supporting documents if you answer “yes” to any of the qualifying questions. Sign the Affidavit on the first page. Update your name and include legal documents to support a name change. If you fail to renew your application on time, you’ll need to add $20 to the renewal fee to reinstate your license. For renewal requests later than 30 days after expiration, the reinstatement fee is $50. Official verification of your active license from another state. Verification from an out-of-state employer of your employment. Employment period must exceed 1,000 hours, and the verification letter should be printed on a company letterhead.